From Meredith to Mommy: It's Mommy's Birthday! I'm feeling a definite "writer-vibe" right now...I'm blogging from Starbucks as I sip my chai! How author-y of me. (Of course, I lose all writer credibility by using the made up word "author-y", but that's OK). It's been a busy couple of days! I knew I wanted to write this weekend, but I also knew I'd be hard pressed to find the time. Today I think I've got a long leash with my "me time" though, so I packed up my laptop, and headed for a quiet place where I could get a nice hot beverage, and I'm relaxing as I write. Today's my birthday! Not a big birthday, and I have to share it with the Super Bowl, but definitely worthy of a little extra "mommy time". 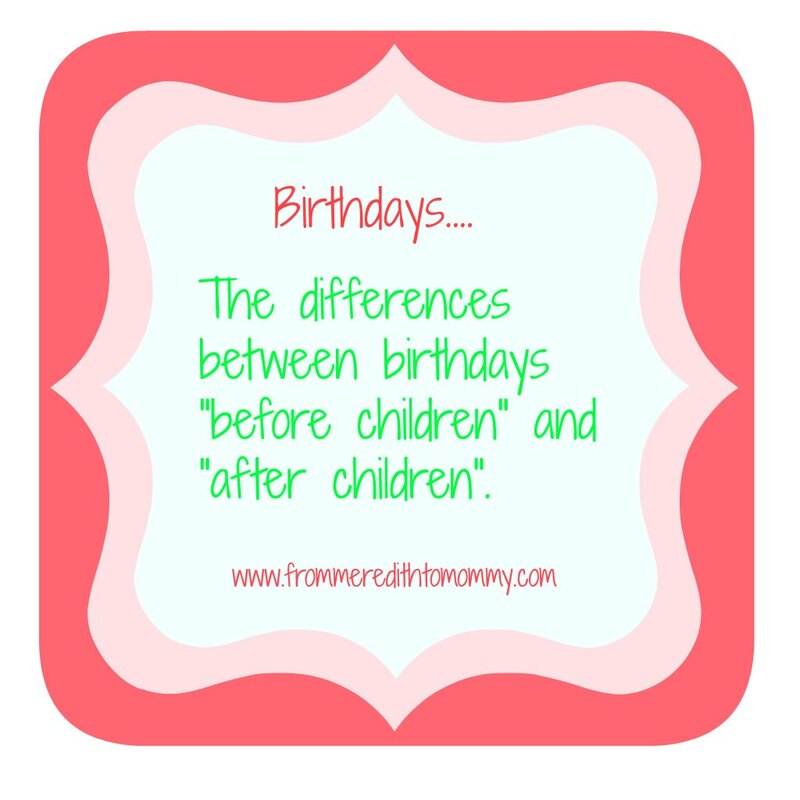 Once you've passed that magical 21, it doesn't seem necessary to make a huge deal out of adult birthdays, but I've definitely noticed a difference since I've become a mom. 1. Although it's "your day", there are little people around who have needs that will come before yours. Yes, Adam is really stepping up today. He made breakfast, changed Reagan's diaper, got the girls situated, and practically shooed me out of the house to enjoy some me time. But two little girls can be pretty needy too and I've done my share of feeding, changing, cleaning, and entertaining. 2. "Sleeping in" means 7:30. At the latest. Adam did get up with the girls today and encouraged me to stay in bed. But after a few minutes, two little girls were bounding into bed with me. Don't get me wrong, I love those snuggles! But being climbed on sort of takes the "sleeping" part out of "sleeping in". Is there a "Don't Wake Mommy" game? 3. You don't open your own gifts. Madison actually helped pick out the girls' gift to me, and the card, and the cake. She was so proud of herself and beyond excited. So excited in fact that she opened everything up for me. 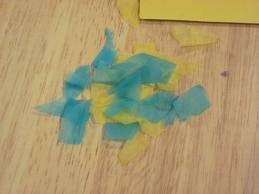 Then Reagan noticed the abundance of tissue paper and joined in with gusto. So sweet. This kid is going to LOVE her birthday! 4. And sometimes you get gifts you weren't hoping for. My newly potty trained child, who still has the occasional accident, decided today was a great day to have a particularly messy accident. In the living room. With her underpants off. 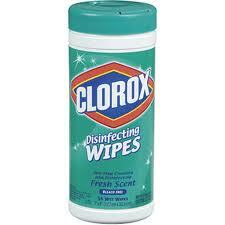 That required carpet cleaner, clorox wipes, and a bath to thoroughly clean up from. 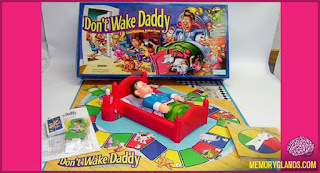 And she chose the moment that her father was in the shower. Thanks kiddo. 5. The menu isn't always "yours". I'm a big fan of red velvet cake, or cheesecake, but Madison chose my cake, and based on the design, I'm getting a vanilla cake with balloons on it. 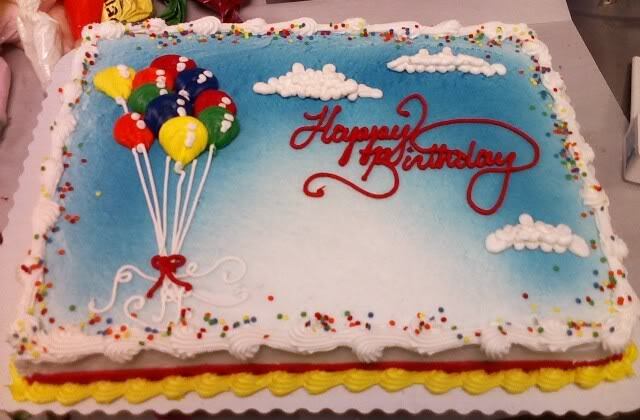 Honestly, I'm shocked it isn't a princess cake! Granted, my menu is definitely influenced by the fact that today is Super Bowl Sunday, but it's also influenced that we want to serve a dinner that we know both girls will eat. And I'm guessing I'll have at least one helper to blow out candles. I've got the smaller version of this! AND a soundtrack of "I love Ballons" to a Mozart tune, performed by Madison. 6. The kids still dictate the day. Don't mess with my girls and their routine. We eat when we eat, we have naps when it's time, and Sofia the First and Little Einsteins dominate TV time. I was attempting to restrain myself from cleaning the kitchen, since Adam said he'd do it, and was sitting on the couch with my phone and my coffee. Madison came up and told me "Stop drinking coffee. And stop reading. 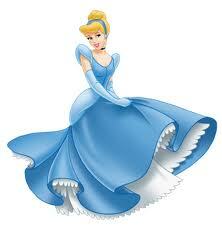 Come be Cinderella". We could be twins, right? But honestly, I'm happy to be Cinderella (although a Cinderella who gets her coffee). Adam and I had a wonderful "date night" last night....a subject for another post, but I got my shellfish and flavored martinis, so I'm happy to eat cheesy eggs for breakfast and mac and cheese for lunch and don't get me wrong, I will scarf down any kind of cake (not a problem for me - ever). I'm feeling beyond blessed that I have girls who are so excited by special occasions, no matter what they're for. And I'm especially blessed to have a husband who insists that I get time to relax and recharge on my own. 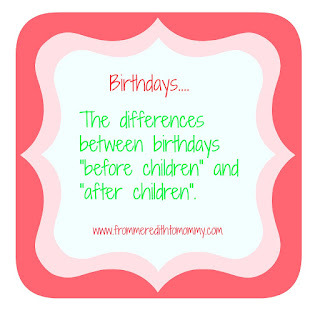 So no, birthdays aren't the same. I'm not lounging around all day, with a special dinner in the works (although I had an incredibly special dinner last night). But they are certainly sweet with a family who loves me. Thank you, all of my readers, for helping this blog to grow. I'm so grateful for all of you who have shared, followed me here and on Facebook, and let me know that you can relate. I started blogging so I could find a place to write, share stories, entertain, and let moms know that they aren't alone and we can all relate. Thank you for joining me...the growth of this space is truly an amazing birthday gift!